It has been predicted and stated for many times: data is the new black gold for an economy increasingly oriented towards digitalisation. Personal data are already used for marketing purposes with the analysis and prediction of consumers’ behaviour. The least of our comings and goings is now producing precious information and establishing a pervasive and continual form of work. A work which, today, doesn’t dare to speak its name and isn’t paid: a dark facet of the rising digital labour. However, what would happen if we could sell our personal data? Data2Debt builds on this speculation. It stages RecovR, a fictitious service for debt collection based on the resale of personal data. The promise is quite simple: you resale, to advertisers and companies, the data you produce. To do so, the service leans on a set of wearables – connected clothes and accessories – collecting data such as travel-related or health-related information on the go. 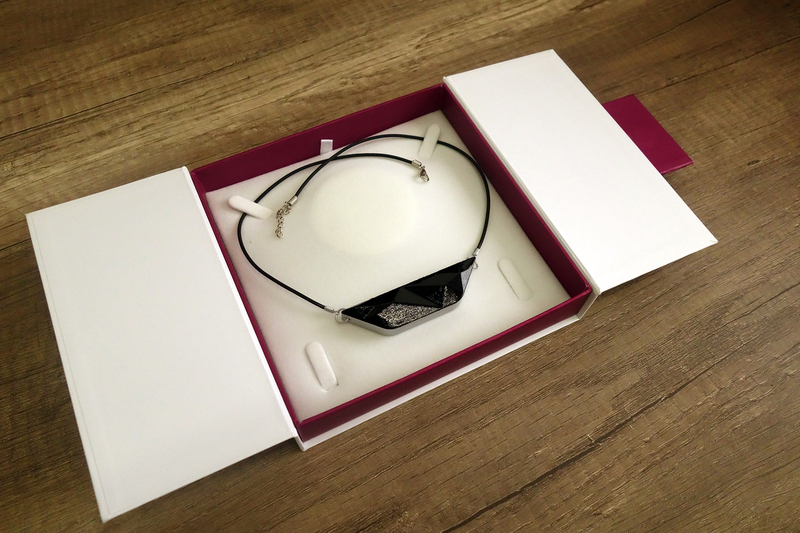 The scenario introduces the “For Women” kit from RecovR which includes a connected necklace, a smart bra and the access to RecovR management platform. The service is devised as a tricky solution: individuals are converted into data-factories, without them being aware of the subterfuge. Since they don’t have any control on the exchange rate of their data, they end up dispossessed of what they produce. As, RecovR users tacitly have to produce even more data to cope with the situation, they are pushed to sell the data they have collected on their relatives to repay their debt. Trapped into a vicious circle, users become even more docile and predictable, an authentic godsend for data brokers. Data2Debt presents a wearable that is openly disobeying to its users to serve the half-covered agenda of its designers and exploiters. The wearable enslaves its users by betraying its promise. – The patent, revealing how the RecovR service is actually working. – A necklace, collecting geolocation and social interaction data. – A bra, collecting health and physical activity related data. 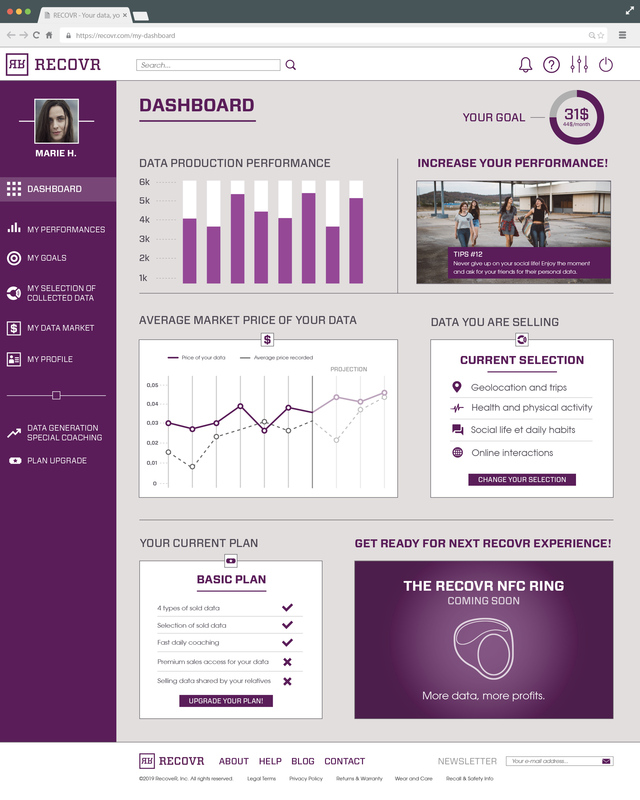 – A screenshot of the dashboard, showing the key features offered by RecovR. 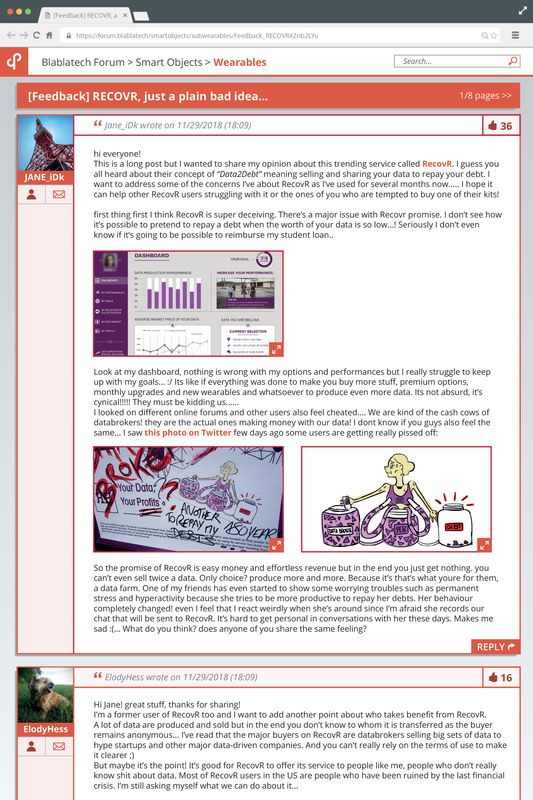 – A screenshot of a discussion forum, pointing out the flaws and deceptions of the service. Read or download the design fictions below. 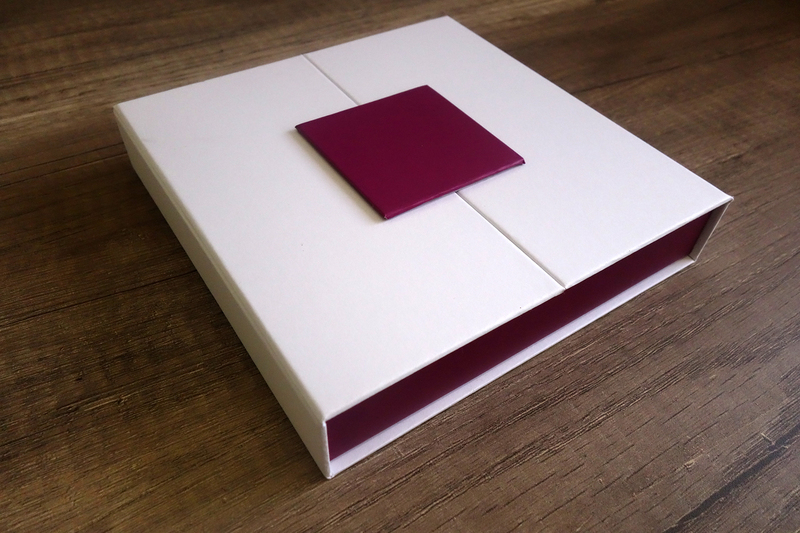 Data2Debt was exhibited at La Biennale Internationale de Design Saint-Étienne (France, 2017) and the Vienna Design Biennale / How Will We Work? (Austria, 2017). 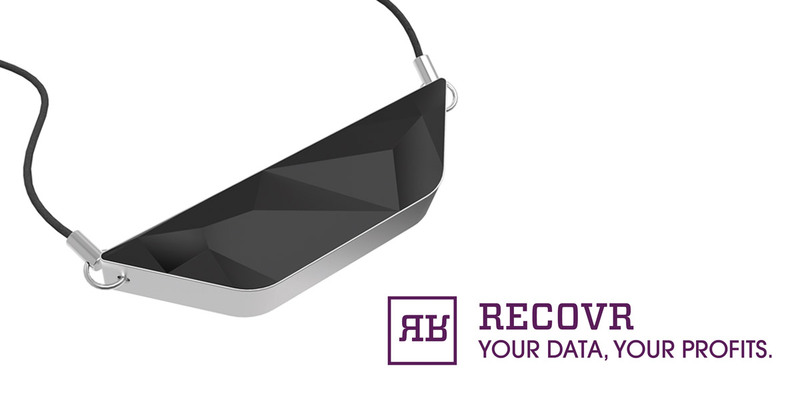 RecovR necklace was designed by Julian Loïs.